Paula Sherwood Paula has been dedicated to training competition horses all her life. Gathering valuable experience working and training, with Top International riders/trainers in the UK and across Europe. Trainers have included Franz Rockawansky, Vicki Thompson, Adam Kemp and Hasse Hoffman, plus other top trainers. She is passionate about the training of horses, from breaking youngsters to the advanced steps of Grand Prix. Paula has successfully competed on a variety of horses (including Iberian stallions & welsh x) with an excellent competition record, competing successfully from Novice to International FEI level. 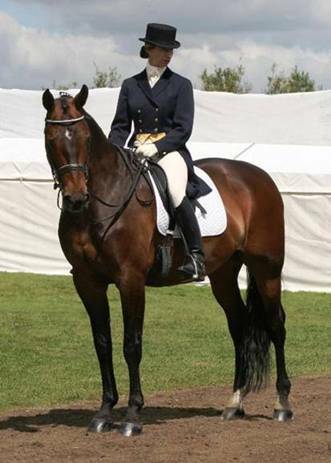 Paula started her equestrian career in show jumping, competing and producing horse to sell up to Grade A. 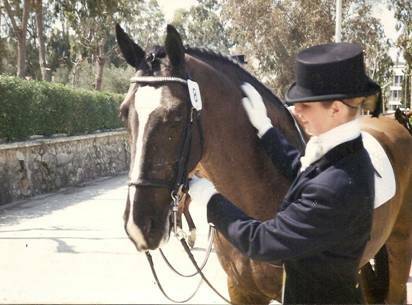 In 1990 she was persuaded to go to Greece to act as a trainer for an aspiring International show jumper and family, which proved to be a very worthwhile and great fun. Although most of the horses were seasoned performers, one of the horses wasn’t performing well as he was being resistant to the rider’s leg so Paula took the ride to sort him out, which didn’t take long and he turned out to have a hidden talent for dressage. Within 18 months little Tattoo was winning all the PSG tests and proceeded to win the Greek National Championship 3 years running. During this time Paula was fortunate to have training with top FEI judges/trainers that were flown in to take training courses in Athens. As a finale to Paula’s stay in Greece she was able to support a Greek rider to compete internationally and win the Balkan International Games, Gold medal, with Tattoo. With Paula’s quest to gain more experience in dressage and with no higher level to compete at, Paula regrettably left Greece. A season with Hasse Hoffman in Denmark, gave Paula the opportunity to ride and train multiple horses in a large Professional yard. This was followed by time working for Franz Rockawansky (Rocky) (Ex Chief rider at the Spanish Riding School in Vienna) and Vicki Thompson-Winfield. Training all levels under Rocky’s watchful eye who did not miss a thing! She went on to work freelance, working horses for Vicki at Wayne Channon’s Exfold stud including riding his young stallions, followed by teaching her own clients in the afternoons. In 2001 with the help of her family, Paula set up Gemsbrook Dressage so that she could train and compete her own and her client’s horses. She is fortunate enough to have been able to create an excellent set up with both indoor and outdoor arenas, American barn stabling and individual turnout paddocks close to hand. Over the past few years Paula has had success training horses up through the grades, including two of her own which have been very successful at small tour level, with one that she still owns (First dance) being trained to Grand Prix but sadly retired before he could show his full talent. Paula is passionate about training and takes great satisfaction in helping clients improve and fulfil their aims and ambitions from prelim to inter I. Her training methods work with a holistic approach, covering all aspects of horse and rider. Her methods have developed from her years of experience but are primarily based around classical principles. She is able to solve problems and can pin-point where a combination are going wrong. Clients quote “Paula never ceases to amaze me with her knowledge of exercises to solve problems and her keen eye for detail from the ground. When it feels terrific onboard she is still looking for perfection”. Having trained a vast number of horses Paula can assess and improve a horse’s way of going from the young green horse to the ones ready to progress to advanced work. Having the natural feel and ability to teach the correct basics and the more advanced movements, such as flying changes and lateral work etc. Clients can bring their horses for short or long term training with very successful results. 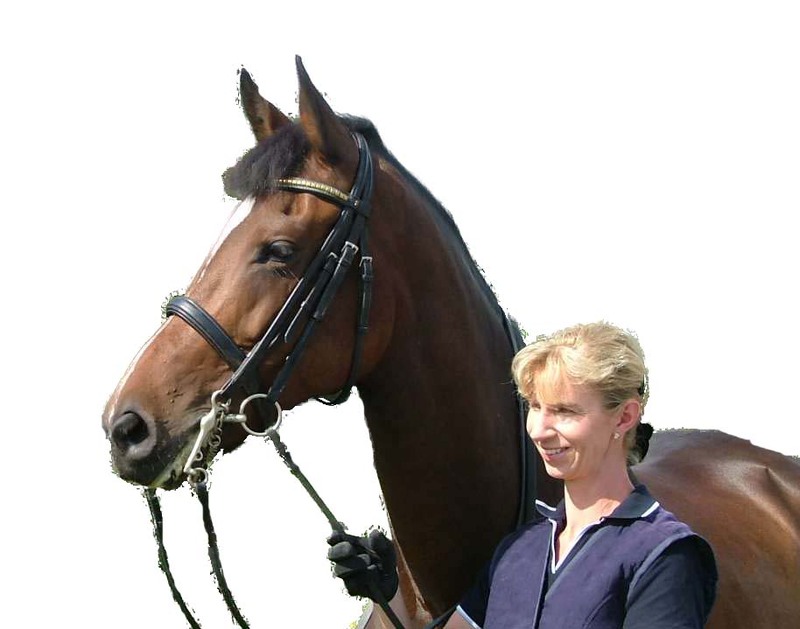 Paula is a registered BHS and British Dressage Trainer, and has gained success in training horses and riders of all levels and ages. Please feel free to call her on 07753 609102 to discuss your training needs.